Plans by the Governor Ayodele Fayose-led administration to prune down the state workforce by retrenching about 3,500 workers in the state and local government services has come under attack by an interest group, Concerned Ekiti Patriots (CEP) who warned the governor against retrenchment or be prepared to face the wrath of the people. Governor Fayose had in a radio programme monitored in Lagos last week hinted on the possibility of retrenching about 3,500 workers in a bid to reduce the government’s monthly wages and financial burden of six months unpaid salaries to state workers and nine months to local government staff. The governor, who was responding to a caller in the phone-in segment of the programme, had said that retrenching about 3,500 workers would give the government some relief, insisting that the civil service was over-bloated. He added that the office of the Civil Service Commission was already compiling the list of redundant workers for the purpose of relieving them of their duties. But the group in a reaction by its Ekiti State Coordinator, Elder Alaba Olugbade, said retrenching workers, who were already owed several months of unpaid salaries, was not the solution except the governor was prepared to face the wrath of the citizens. The group said the two tranches of bailout, Paris Club refunds, Budget Support Facility of monthly N1.3b and monthly allocation to the state from the Federation Account were sufficient to offset the salaries of the workers if properly utilised. “Rather than waste scarce resources of the state on white elephant projects and political patronage, the resources could be deployed for salary payments and some basic infrastructure that would make lives of the citizens of the state more meaningful. “If truly Governor Fayose was serious about retrenching 3,500 workers as the condition for financial well-being of the state as pointed out in the radio programme, then he must be prepared to face the music as the workers and the entire citizens who have been pressed to the wall by his obnoxious administrative style would have no choice than to charge back. “While we appreciate the general down-turn in the economic situation of the country, we make bold to say that some other states, such as Lagos, Kebbi, Taraba and Ebonyi with forward-looking governors are busy exploring other areas of opportunities like Agriculture to shore up their revenues and make life better for their citizens and this is paying off as reflected in the increase in IGR and employment opportunities. "Instead of the governor to copy his colleagues in transparency and creativity, what Ekiti people are seeing are over-priced white elephant projects being awarded by the governor to cronies and his family members while no one knows anything about the internally generated revenue profile of the state after Governor Fayose increased rates, taxes and tarrifs, including introducing fresh and suffocating taxes. 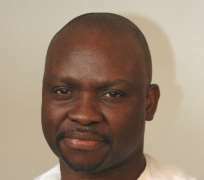 “We can only hope that Governor Fayose will drop his daily theatrics and wear his thinking cap and proffer solutions to the state’s economic woes. Certainly, retrenching workers should not be part of it. “It is sad to note that under the administration, revenue-earning projects, such as the Ikogosi Warm Spring Resort, Ire Burnt Bricks, State Pavilion, Fountain Investment as well as service-providing outfits, such as State Traffic Management Agency, Peace Corps, which employed over 3,000 Ekiti indigenes, have been crippled by the governor. “As a group that has interest of the state and its citizens at heart, we would not hesitate to lead a protest walk against the governor if he refuses to order the SSG office to stop the planned retrenchment within a week.”, the statement added.